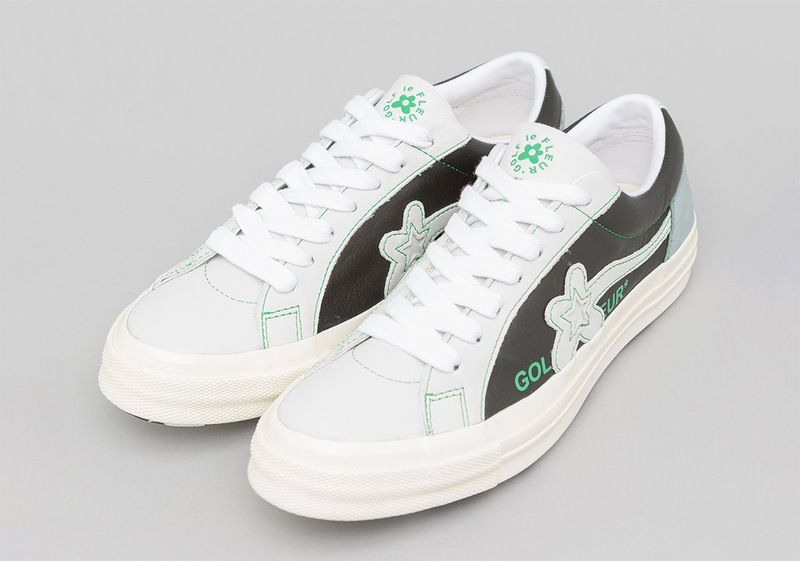 Tyler, The Creator‘s collaborative collection of Converse One Stars has released in numerous different aesthetics since it began, from color creations hinging on two contrasting tones, to monochromatic constructions, Wolf Haley’s eccentric style has been at the forefront the entire way. 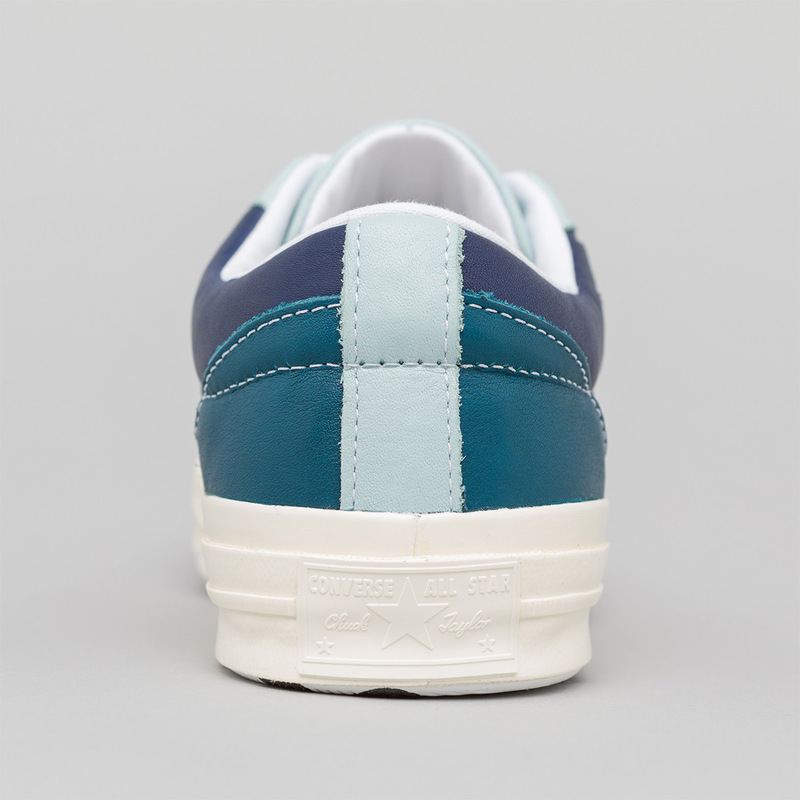 Next up for one of the hip-hip world’s most talented artists is a duo of two-toned leather One Stars that usher in Egret and Barley Blue color schemes while one of them equips a touch of Patriot Blue for another swathe of color. 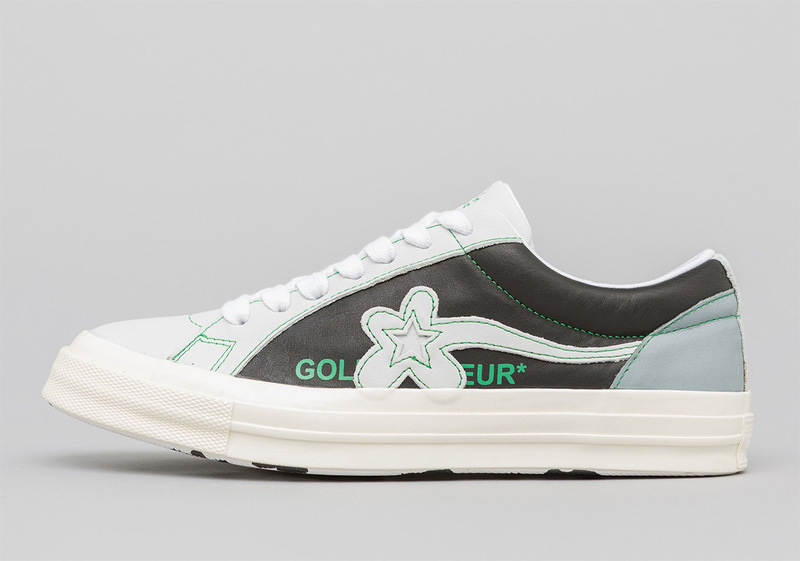 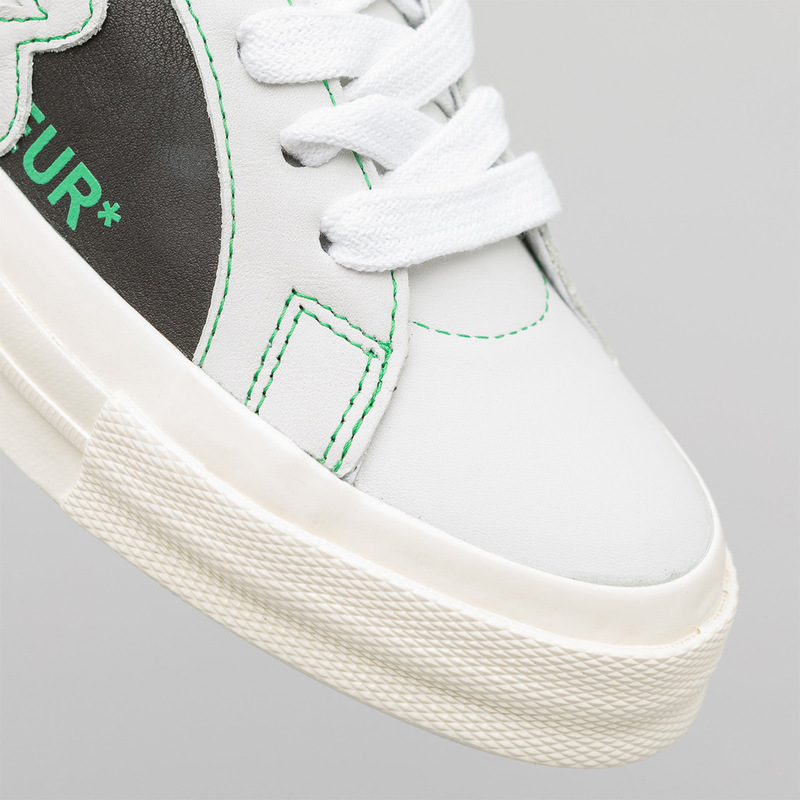 One of this set’s clear focal points is its exposed stitching that runs along the entire body of both designs in either white or electric green, while a “Golf Le Fleur” hit takes shape underneath Tyler’s signature floral One Star logo. 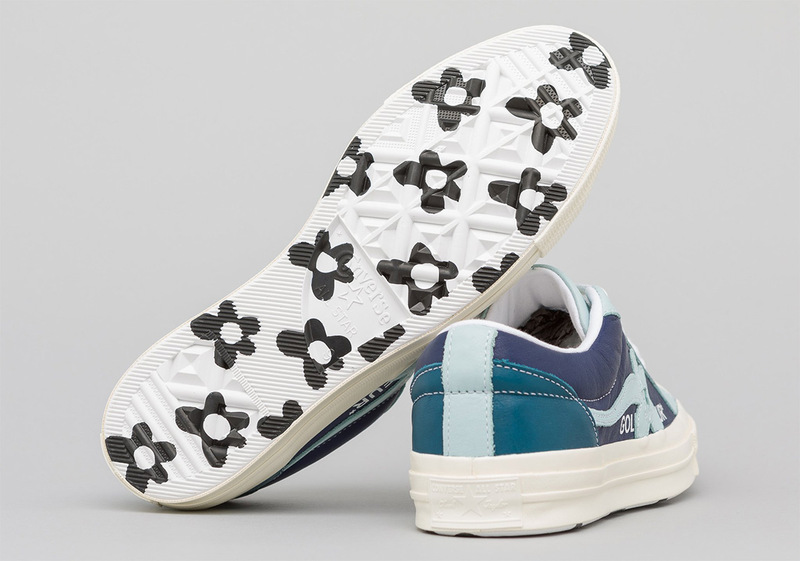 Finished off by all-over sunflower decals on both outsoles as well as a familiar tongue stamp, both of these offerings are available at select overseas retailers, meaning a Stateside drop should be right around the corner.